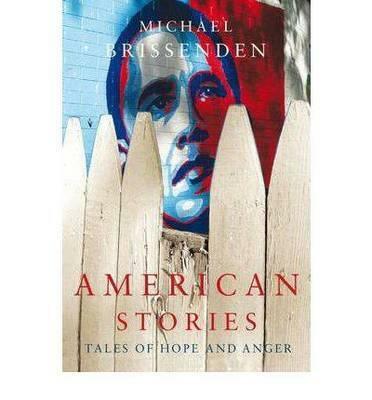 An engrossing account of a country on the edge In July 2009, Michael Brissenden traded political reporting in Canberra for a job in Washington as US current affairs correspondent for the ABC Here is his fascinating chronicle of an America in turmoil. From the desolate coal-mining hollers of West Virginia to Washington’s ghettos and the Mormon communities of Utah, Brissenden travels the country with unprecedented scope to grapple with the issues and to tell the stories of the players, the hopeful true believers, the skeptics, the winners and the losers. He follows the long and fractious political process that will either deliver Barack Obama a chance tp ne a truly transformative president or place him alongside one-term leaders like Jimmy Carter, and he watches the Republican Party tear itself apart to find a fitting opponent for Obama. Will American’s first black president meet the enormous expectation of his voters, and the rest of the world? With wry humour and cutting insights, Brissenden explores this extraordinary moment in US history and shares his tales of people, identity and culture - American stories of hope and anger. ABC TV’s Michael Brissenden has written a sharply observed and hugely entertaining collection of essays on contemporary American life. He covers the expected turf – healthcare, the war on drugs, asylum seekers, race relations – but delivers much more than that. He explores the release of Canadian grey wolves into Yellowstone National Park, an act of conservation by the Fisheries and Wildlife Service that informs the cultural renewal of the Nez Perce Indians in Oregon. In Detroit we move beyond the first generation of unionised autoworkers to suffer income depreciation to find artists embracing the vast derelict spaces, igniting the potential of an arts-based urban renewal. Brissenden moves easily from Los Angeles to Mexico, Miami to Cuba, always with an eye for the contested space, be it land, ideology or identity. The chapters segue neatly to provide both the hint of a narrative and an insight into the inquisitive mindset of a foreign correspondent. We also get a good sense of the compromised natures of President Barack Obama and Republican nominee Mitt Romney, of their limitations and failures, and of America’s deterioration into a polemic stalemate. Honest, but not without hope, Brissenden gives us an excellent snapshot of contemporary America.